There’s a lot to say about a healthy, beautiful smile. Some people are lucky to have one naturally. Others have to battle against genetics, accidents, or aging. When time, or life itself, takes a toll on your teeth, your confidence can dwindle and it’s common to begin hiding your smile. However, you don’t need to hide it forever. The cosmetic dentistry options at our dental office in Evansville can help you get a smile that you love. What Does Each Treatment Solve? Some cosmetic dentistry treatments can fix the same problem, just in a different way. Each situation and each individual is unique, so your dentist in Evansville will recommend the best option that will address your specific concerns. Teeth Whitening – The most simplistic of the cosmetic dentistry options, teeth whitening is best done professionally by your dental team. Depending on the type of whitening used, results can be up to several shades whiter after just one treatment. Composite Bonding – Sometimes a professional smile whitening isn’t appropriate for some types of staining. This is where bonding may be an appropriate solution to getting a whiter smile. Bonding is also typically used to correct chips, cracks, and crookedness. Porcelain Veneers – Veneers are thin coverings that are attached to the front of the teeth. They last long and are natural in appearance. Veneers can fix broken or chipped teeth, straighten smiles, and change the shape of individual teeth for a streamlined appearance. Smile Makeovers – When you’re looking for a dramatic transformation, a smile makeover is the best solution. A smile makeover combines several cosmetic dentistry treatments to get you a smile you love. 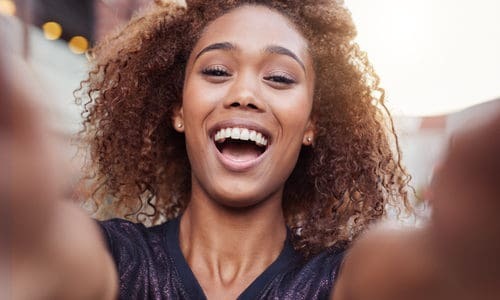 If you aren’t absolutely happy about they way your smile looks, give our Evansville dental office a call to schedule a cosmetic dentistry consultation. We’ll talk about the concerns you have and work together decide what the most appropriate treatment is for you. Welcoming patients from Evansville, Newburgh, Tell City and beyond.